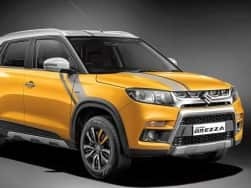 With the introduction of Vitara Brezza in the domestic market, India’s leading automaker, Maruti Suzuki India officially marked its presence in the ever growing sub-4 metre compact SUV segment. 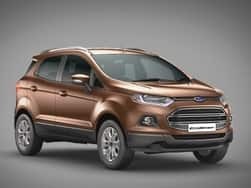 Ford EcoSport being the first sub-compact SUV in the country and the segment leader, Maruti Vitara Brezza posed a big threat to its throne. 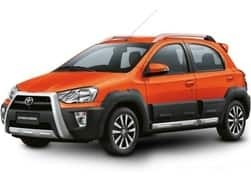 Positioned between Ertiga MPV and S-Cross crossover, this sub compact SUV is retailed through regular dealerships throughout the country. 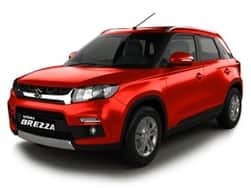 Maruti Vitara Brezza Exterior Despite being sub-compact in size, the Vitara Brezza has managed to look an SUV (Sports Utility Vehicle). 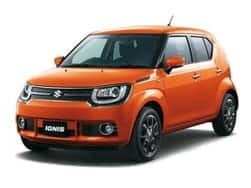 The overall design inspiration for the compact SUV comes from the Suzuki Vitara SUV, which is already on sale in select international markets. 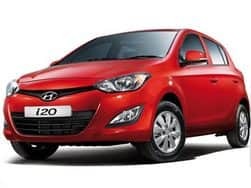 It features a high bonnet, wide rectangular front grille and swept back headlamps. 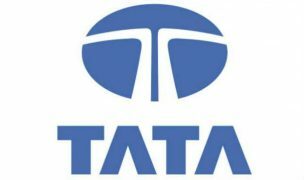 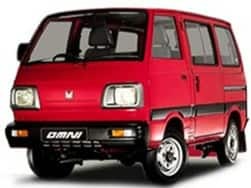 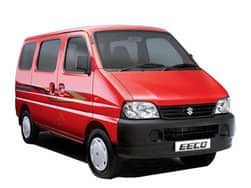 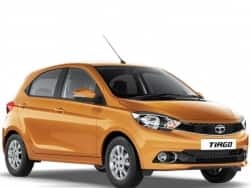 The honeycomb grille resembles the XA-Alpha concept unveiled at the 2012 Delhi Auto Show, while the broader bumper features a wider airdam and blacked out fog lamps mountings. 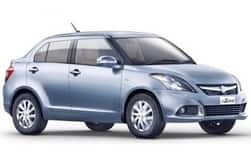 The range-topping variant also gets integrated daytime running lamps along with projector headlamp. 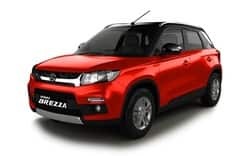 On sides, the Vitara Brezza looks appealing though it has boxy shape. 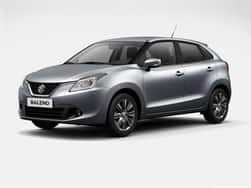 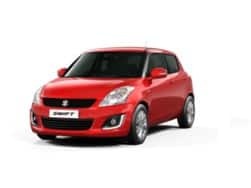 It comes with contrasting coloured roof, flared wheel arches and strong beltline. 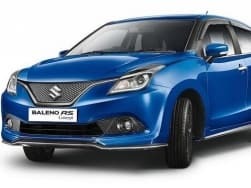 At the back, the compact SUV gets simple featuring silver chrome plate, integrated spoiler and a hatch opening boot-lid. 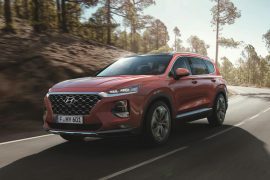 Dimensionally, the sub-4 metre SUV is 3,995mm long, 1,790mm wide and 1,640mm tall, and has a wheelbase of 2,500mm. 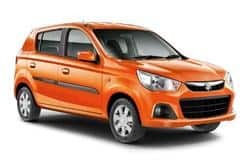 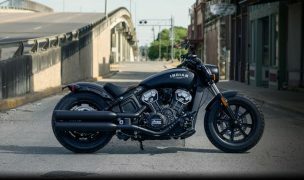 It comes with a ground clearance of 198mm, which is good enough to tackle Indian road conditions. 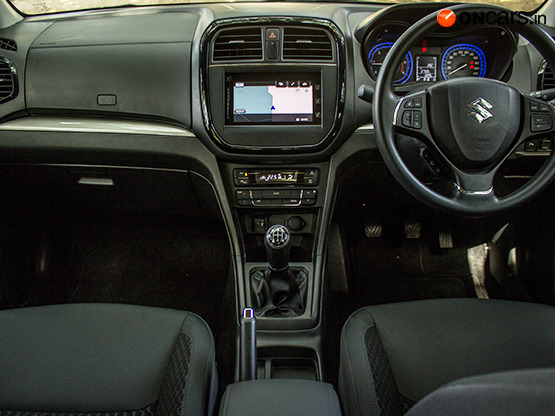 The cabin of the Maruti Vitara Brezza resembles other MSI cars currently on sale in the country. 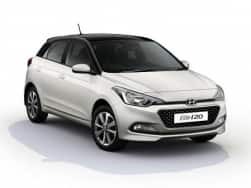 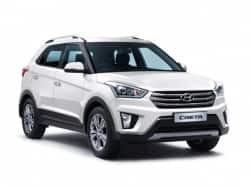 The range-topping variant of the sub-compact SUV is equipped with several high-end features such as start-stop function, leather upholstery for seats, steering and gear knob, climate control system and electrically adjustable outside rear view mirrors. 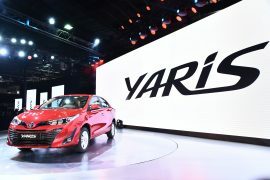 It also gets a SmartPlay infotainment system that supports Voice Commands, Apple CarPlay and Bluetooth connectivity. 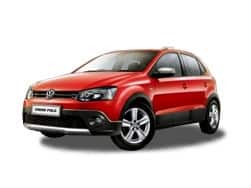 The compact SUV features a smartly styled instrument cluster with five shades mood lighting- Red, Blue, Orange, Pink and White. 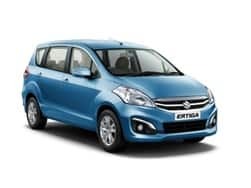 It comes with a boot volume of 328-litres, which is more than sufficient to carry your weekend bags. 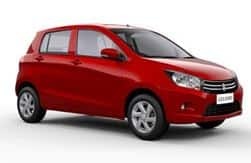 The vehicle features 60:40 split rear seats, which can be folded down to further enhance its cargo volume. 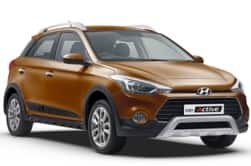 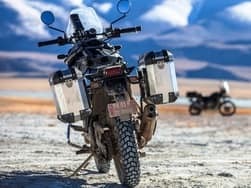 Features like ABS (Anti-Lock Braking System) with EBD (Electronic BrakeForce Distribution) and dual airbags as an optional safety pack for base variant. 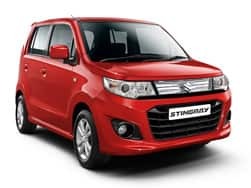 The Brezza is available in 9 color schemes- three dual-tone shades- Blazing Red with Midnight Black, Cerulean Blue with Pearl Arctic White and Fiery Yellow with Pearl Arctic White- and 6 single paint jobs- Premium Silver, Pearl Arctic White, Blazing Red, Granite Grey and Fiery Yellow. 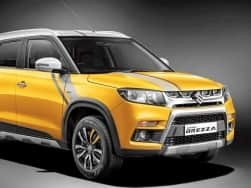 The Maruti Vitara Brezza is powered by a 1.3-litre turbocharged four-cylinder engine that also powers the Maruti Ciaz and the S-Cross crossover. 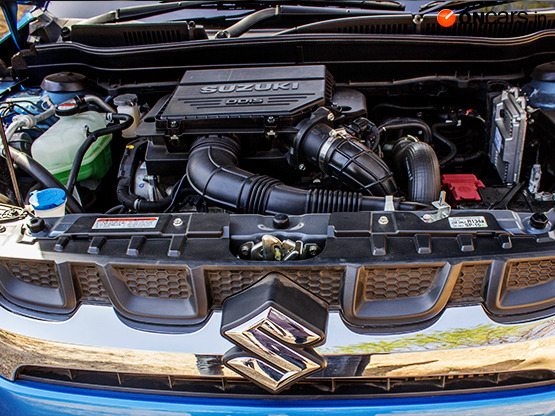 This engine is capable of producing 89bhp of power along with 200Nm of torque. 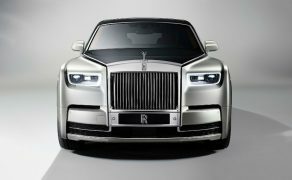 Power will be transmitted to front wheels via a five-speed manual gearbox. 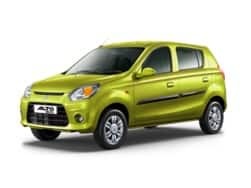 The mini SUV is claimed to be the most fuel efficient in its league, returning 24.3kmpl. 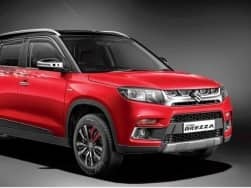 Maruti Vitara Brezza Price and Competition The Maruti Vitara Brezza is priced in the range of INR 6.99 lakh to INR 9.68 lakh, ex-showroom Delhi. 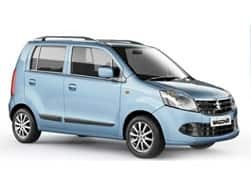 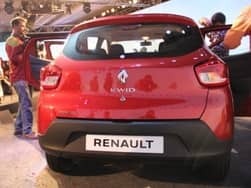 It directly rival against the likes of the Ford EcoSport, Mahindra TUV300, Mahindra NuvoSport and the upcoming Tata Nexon. 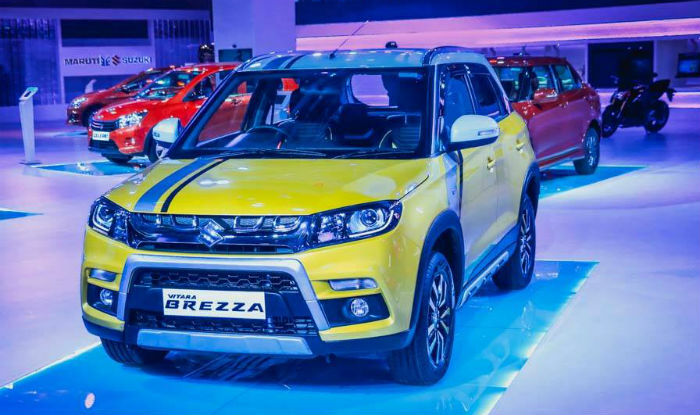 Maruti’s latest offering - Vitara Brezza is a blend of an SUV and a hatchback, but does it deliver on the expectations set in the mind of an Indian consumer. Let us find out? 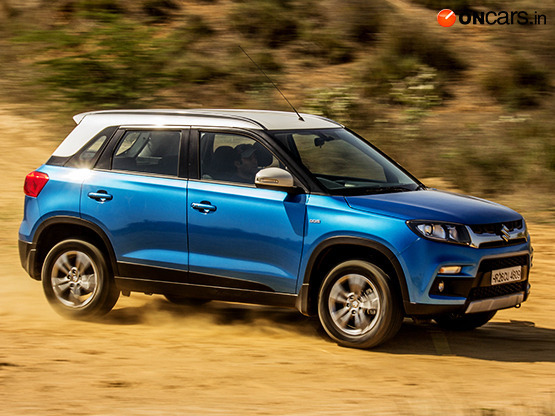 With the ever increasing demand in the sub-compact SUV space, Maruti Vitara Brezza has easily crossed a milestone of 1.5 lakh sales in India with waiting period of more than 6 months. 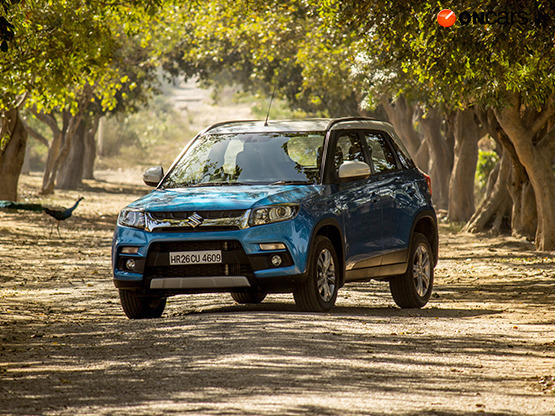 The Vitara Brezza took Maruti Suzuki to the podium in the UV segment for May 2017 with highest ever sales, leaving Mahindra and Mahindra behind. 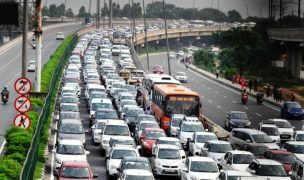 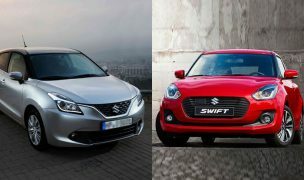 The tests were carried out at Maruti Suzuki’s in house crash test facility based out of Haryana.